Red Hook Lobster Takes Manhattan? 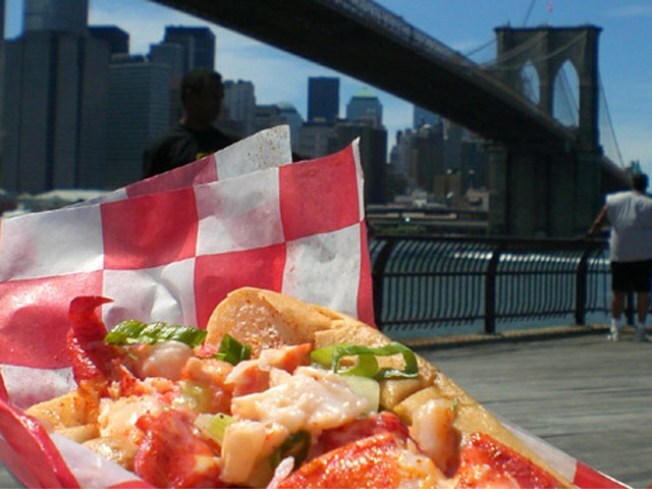 The Red Hook Lobster Pound may bring its lobsters -- and rolls -- to Manhattan. Looks like everyone’s favorite entrepreneurial success – a couple who hit paydirt with the idea of selling the freshest lobster in New York City, thanks to weekly drives to Maine in a cube truck – is getting even bigger. Grub Street gets a tip from co-owner Susan Povich that “nothing is set in stone,” but new locations in Manhattan and Brooklyn are on the table. Not that we don’t love Zipcarring it to Van Brunt for our haul of Maine-fresh critters, or the fun of a waiting in line for a half-hour at the Brooklyn Flea for one of the Hook’s butter-drenched lobster rolls. But still: New locations? We’re all ears. Bonus: Head over to the Pound's website for details of a $115-$140 (with wine) “Alt.Brooklyn.Valentine” package which includes lobsters, Liddabit sweets and morning-after chorizo – our new favorite phrase – from the Meat Hook, among other delicacies.